Camouflage T-shirt with Pocket is made of a unique blend of cotton and polyester material. The high quality washed material used for the production of this T-shirt makes it a comfortable wear for all seasons. This T-shirt comes with a pocket on the front left side chest area. Unisex in design it will fit both men and women perfectly. It has been in line with government specifications, which only add to the feel of wearing a camouflage T-shirt. It is available in a range of sizes from small to 4Xlarge. 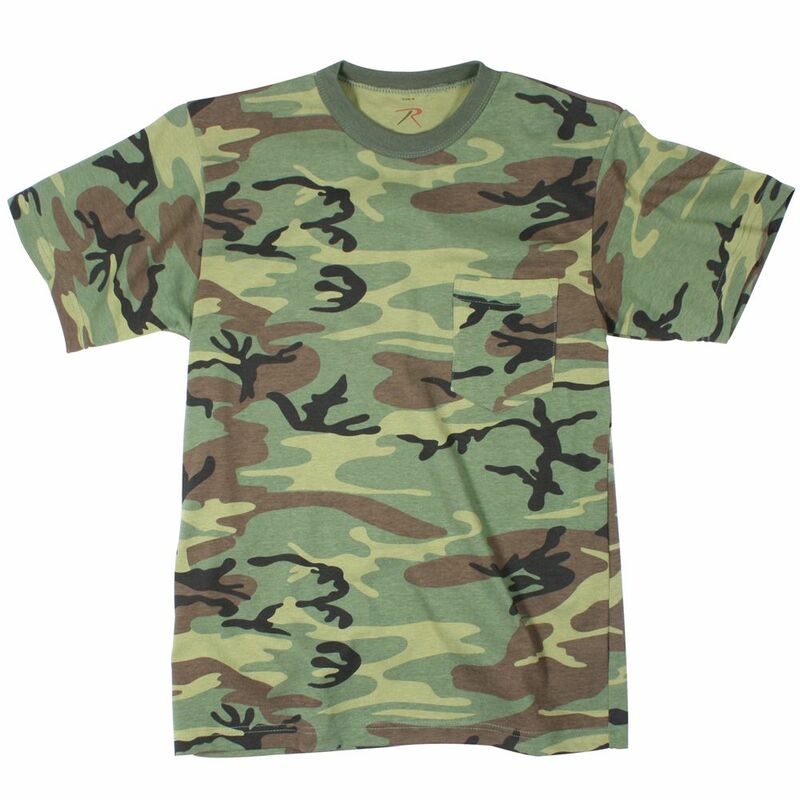 It is designed with short sleeves which makes it a great woodland camouflage T-shirt.